I mean no disrespect to Nana Akufo-Addo in my direction to him to “shut up” owing to the fact, when the trumpet is blown to assemble those who relish in tribal and discriminating politics against Northerners, then Akufo-Addo and his contemporaries come second to none and inimitable. Akufo-Addo has shown an unbridled abuse of Tribalism and Discrimination most especially against Northerners , not from anywhere but in his own party. Before I proceed, let me try to establish this fact about Akufo-Addo only views Northerners as second fiddles and also competent at exploiting Northerners for Deputies and vice slots. To Akufo-Addo, Apart from traditional positions reserved for Northerners in Upper East, Upper West, Northern Region, and NASARA coordinator; Northerners can only fit in subordinate or if you like, lower-ranking or aide positions in his party!. Now, Let’s do a head count Dr Mahamadu Bawumia- three times failed VICE presidential candidate, Dominic Nitiwul- DEPUTY Minority Leader, Mustpaha Hamid- Spokesperson, Anthony Abayifa Karbo- Deputy Communications Member; Salam Mustapha- Deputy National Youth Organiser; Musah Superior (inferior)- Campaign Aide to Akufo-Addo; TB Damba- Former second Vice Chairman of the NPP, to mention few. Subsequently, after Dr Kwame Nkrumah had promulgated the ” Avoidance of Discrimination Act, in 1957 which debar the foundation of political parties on tribal, religious and ethnic lines, an opportunity to politically annihilate Dr Kwame Nkrumah was identified in the need for all opposition parties to come together under one umbrella. Hence, the National Liberation Council which was an ethnic Asante party but had lesser number of seats and of course Four, at the assembly joined forces with the Northern Peoples Party which had majority of thirteen seats at the assembly, together with the Muslim Associations Party, Ga shimotey, Anlo Peoples Party and the UGCC to form the UNITED PARTY. Northern Peoples Party was led by Chief Simon Dieodong Dombo, NLM led by Baffour Akoto, UGCC led by Dr JB Dankwa. Truth be told; Dr JB Dankwa’s UGCC as at that time was extinct beyond recognition. In fact the UGCC had zero or if you like NO REPRESENTATION at the assembly as at the time of the formation and rebirth of the Tradition because, Dr JB Dankwa had loss the elections on the Abuakwa seat to his cousin Aaron Ofori-Atta who contested on the CPP ticket. This means, Dr JB Dankwa was of no use in the alliance that culminated in the formation of UNITED PARTY, UP. Permit me to veer of, for want of space, to relate the historical antecedents of the tradition to what it is today, albeit in a cascading manner. 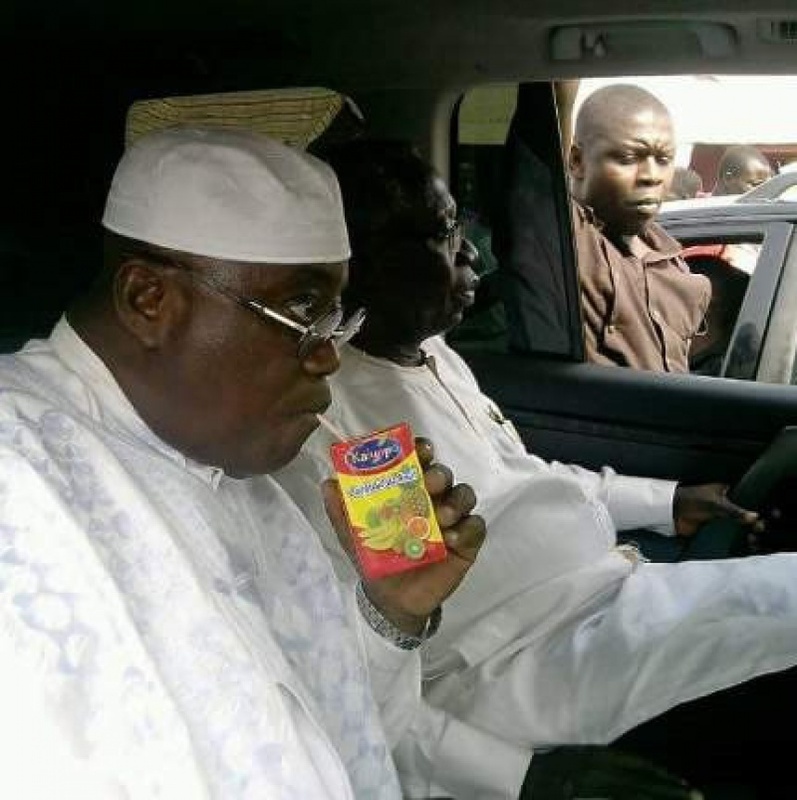 The moment, news got to Akufo-Addo and his cohorts that, a Northerner has risen from a place, of course where Akufo-Addo loathes, and shown an unadulterated desire to contest the highest position in the NPP- National Chairman, with the sole intent of rescuing the NPP from the doldrums of eight years of political darkness; it indeed, sounded like a knife, striken on their hearts. They began to do all they know best, plotting evil. First, After our brother chairman Afoko picked nomination forms to contest that election, discordant voices from Akufo-Addo’s Kyebi Family suggesting his disqualification began to rear its ugly head.
? After all, Akufo-Addo lost out miserably the 2008 and 2012 elections without Afoko. .. And in 2016, Akufo-Addo is facing his ugly luck without Afoko. Akufo-Addo, Your hatred For Northerners will continue to eat up your ugly self. Maa Salaam. All Northerners Should Reject this Tribal bigoted Idiot, Akufo-Addo.